At Carson Cars we understand that financial issues come up that can cause problems for good people. Your issue might be a job loss, a medical situation or a family loss. Regardless of your problem we’ll provide you with Bad Credit Auto Financing if you need it. Here at Carson Cars, you’re approved for financing when you walk through our doors. We have financing plans for every credit score and our down payment requirement varies depending on your situation. Come in and speak with one of financial specialists to discuss how we can help you. Our interest rates will depend on your credit rating, your down payment, and the car you’re looking to purchase. The financial specialists at Carson Cars will discuss these factors with your and clearly explain the interest rate for your loan. Our in-house finance plans allow us to get you the funds you need to get the vehicle you want. This plan enables you to begin rebuilding your credit rating as we’ll report all of your payments to the credit bureau. The team of financing professionals at Carson Cars is proud to be able to help anyone with a poor credit score. We’re more concerned about your future than your past. Complete an application today and you’ll be able to take home your car the same day. We offer a short application process so that you can be in your car as soon as possible. The process typically ranges between a few moments and a few hours. We’ll contact you promptly once your request has been approved. You won’t have to start making payments for another 45 days. 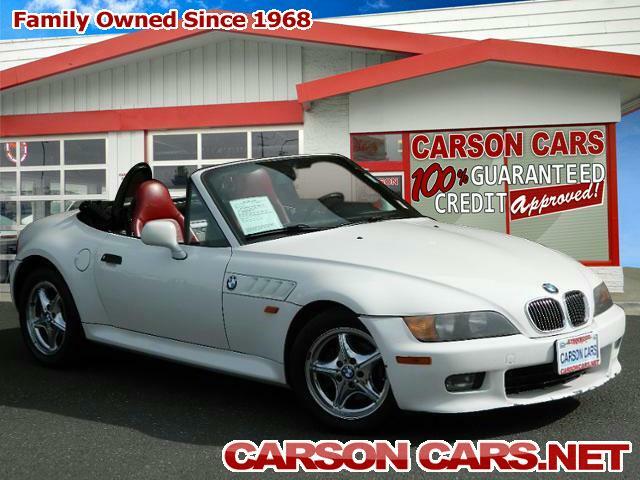 At Carson Cars we offer an extensive inventory of hundreds of vehicles that are immediately available. Whether you’re looking for a car, a truck, a van or an SUV, we have the vehicle for you. Every vehicle we offer must pass a safety inspection before we’ll make it available to you. Come in and see us today at Carson Cars where we’re able to offer Bad Credit Auto Financing to those anyone who need it. Contact us at 425-697-6969 or by clicking here.